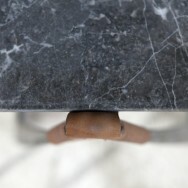 Belgian designer Ben Storms is obsessed with bending the rules between forms, techniques and materials. 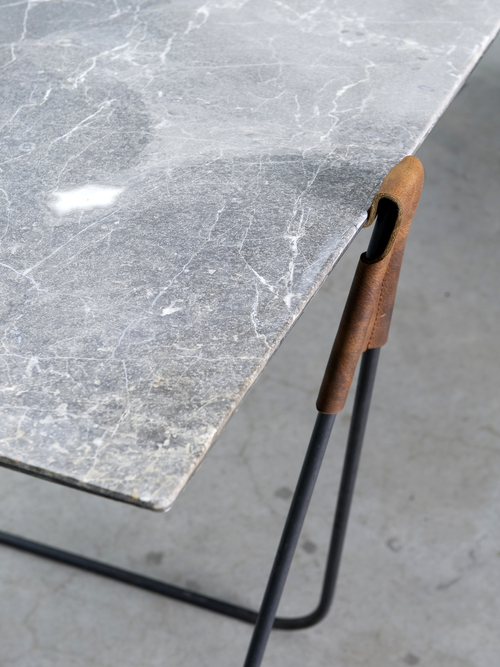 "Design is about image and transmitting a certain feeling to make us briefly lose our balance", he says. 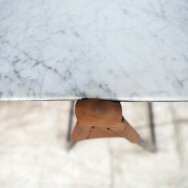 His 'In Vein' trestle table captivates aesthetically and formally and adds a layer of delicate beauty to my table wish list. 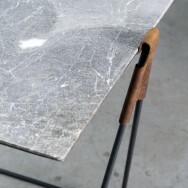 With its simple steel trestle bases, leather detailing and the Gris d'Ardenne marble top, Storms design got my attention. Caught by surprise, 'In Vein' has a dual function. 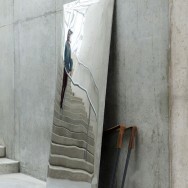 Apart from being a table it can be turned over to reveal a decorative mirror straight up against your wall. 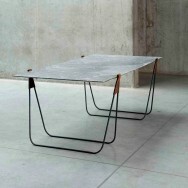 A design that represents simplicity, mobility and efficiency.